This is an interactive coloring, number and letter game for preschool kids. 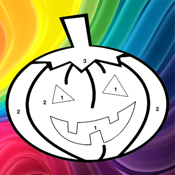 In this game, kids have to identify the number or alphabet and color the picture. You can save the picture to photo album.